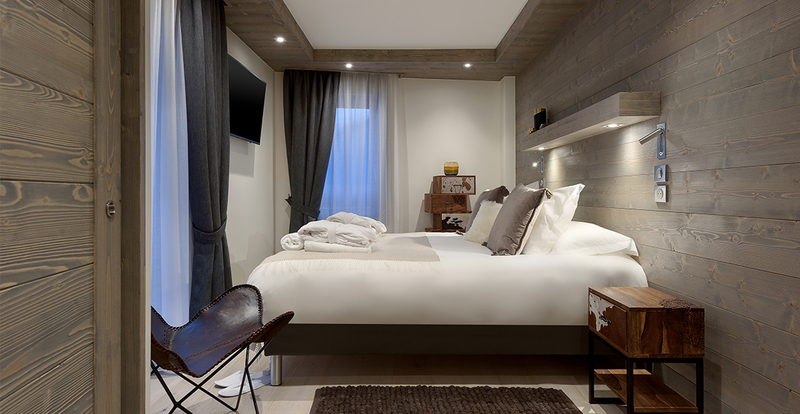 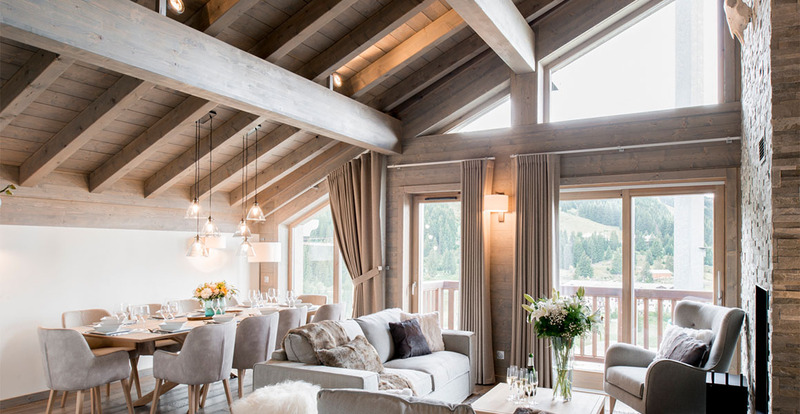 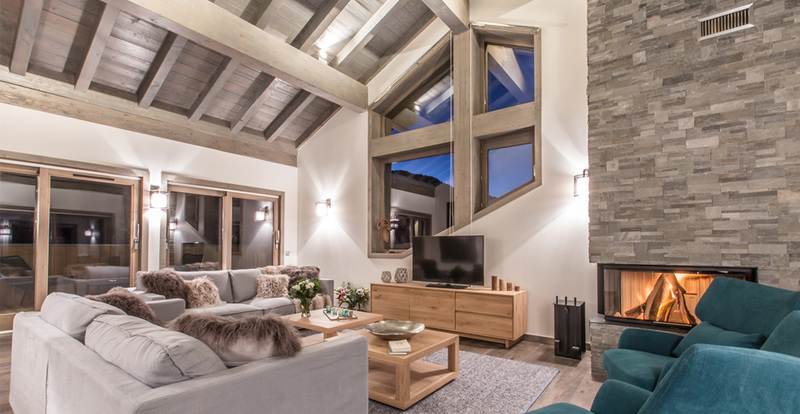 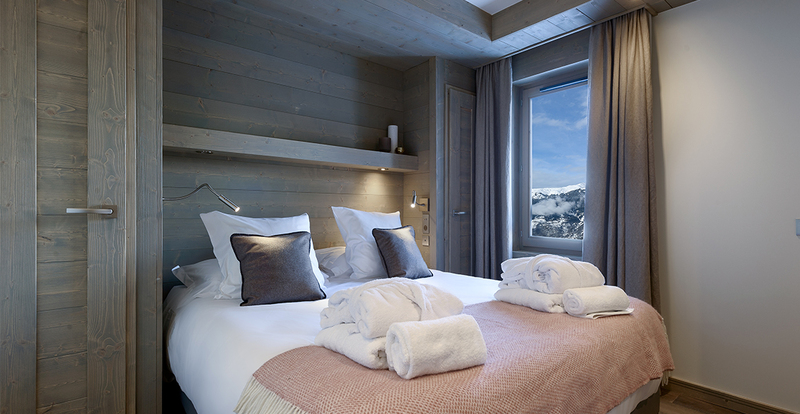 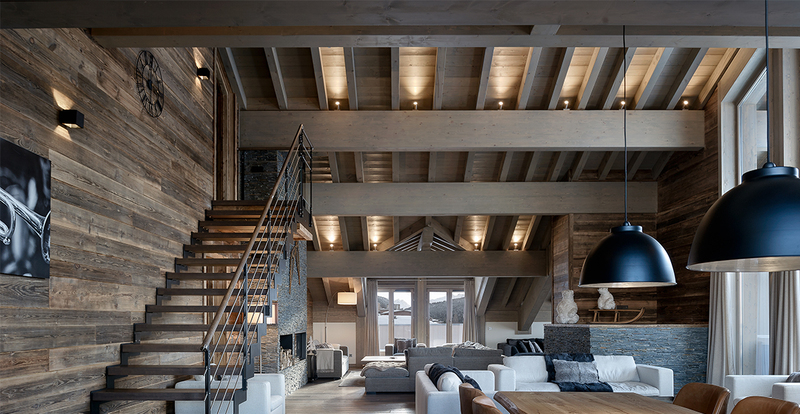 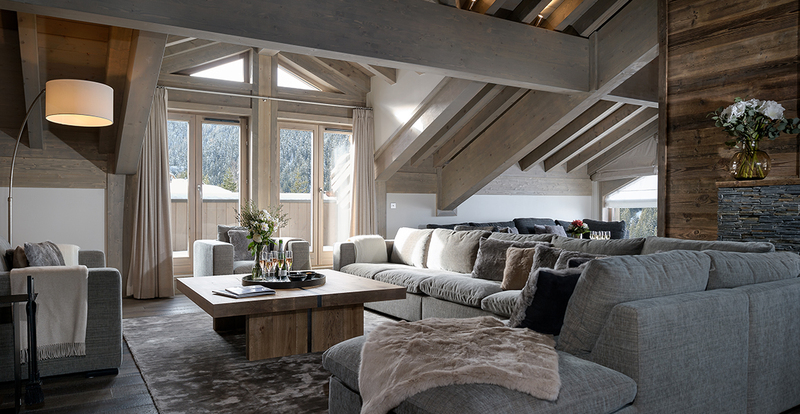 The wood panelling creates the chalet atmosphere that you desire. 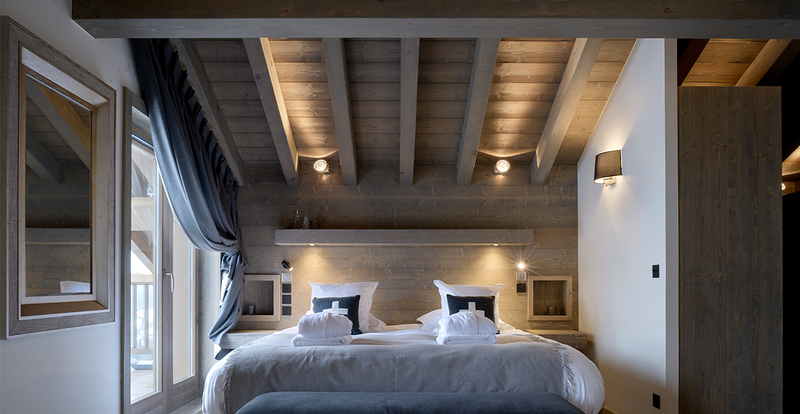 Generally, it is fitted in the bedrooms behind the beds, on one living room wall and on the ceilings. 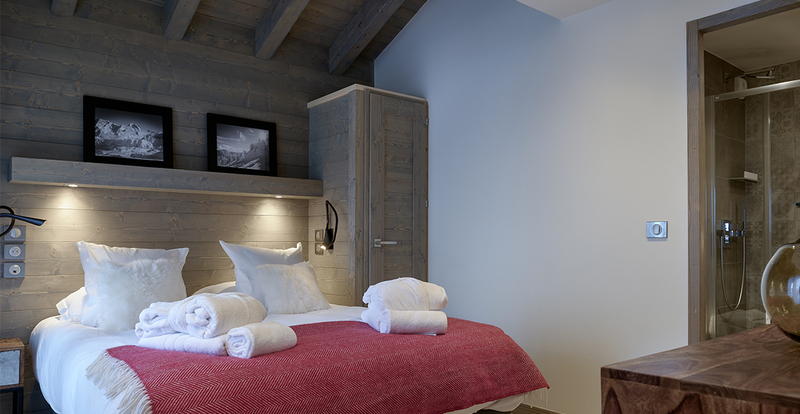 The AL02 color matches perfectly with a light wooden floor and the Vermont.